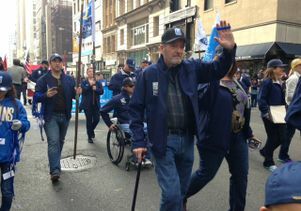 A Vietnam veteran from a tiny town in California, Ric Ryan has been raising money over the past six years to support a UCLA program that helps soldiers injured in Iraq and Afghanistan. 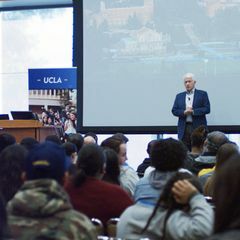 On Nov. 11, he will walk alongside veterans in the upcoming America’s Parade in New York City, thanks to a surprise invitation from UCLA Operation Mend. But then Ryan added a twist to his daily trek: Each time someone waved at him as he walked by in his rural hometown of Murphys, California, he would wave back and also donate 25 cents to Operation Mend from his disability checks. Soon, local residents joined the cause, opening up their wallets to “the Walking Man of Murphys,” as he has affectionately been dubbed. 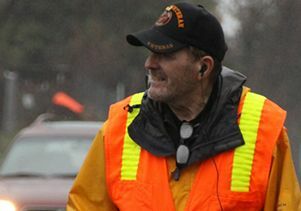 Ric Ryan, a Vietnam veteran who has raised thousands of dollars for UCLA Operation Mend as "the Walking Man of Murphys."